Tamarind chutney is a household Indian staple. It is used in a number of snack items and the best part is it keeps for a long time. Soak tamarind in a little water overnight. Squeeze out the pulp with the help of a sieve. Break jaggery into small pieces. De-seed and cut dates into long strips. 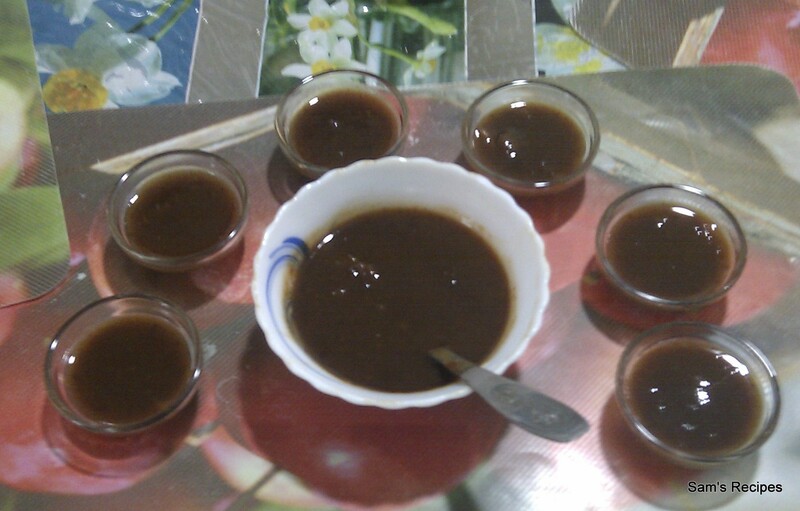 Mix tamarind pulp, date and jaggery with 1 cup water and bring to a boil. Add the rest of the ingredients. Lower the heat and let the chutney simmer till it becomes syrupy. Cool completely and store in a glass bottle. The chutney can be stored for upto 4 weeks. Imli or tamarind chutney is an Indian staple that adds the extra punch to many recipes. It goes well with almost all snack items and will be present in every Indian kitchen. However, if it is not possible to make imli chutney, one can go for amchur or mango powder chutney. It tastes the same and is ready in minutes. Dissolve amchur in 1 cup water and bring to a boil. Add the rest of the ingredients and let the chutney simmer for 10-15 mins till a syrupy consistency is attained. Let cool and serve with all sorts of snacks.